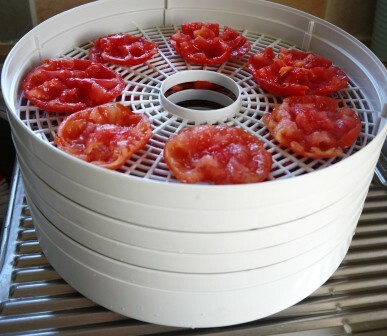 Every autumn you’ll find me dehydrating tomatoes, not wanting to lose a single fruit! Here’s my step by step guide on getting the most of your crop. Although the end is now in sight, I’m still picking tonnes of tomatoes from the poly tunnel. The freezer is groaning at the seams though, so it’s time to finish up preserving our crop in a more lightweight, storage friendly manner! Your other option is to buy a dehydrator to do the job for you. You can dry all manner of fruit, veg and even meat (think Jerky & Biltong) in them, and although you can get some super duper expensive models, they don’t all cost the earth. Pick or buy the very red fruit that are still firm. It doesn’t matter if they’re split, so long as it is a wet, fresh split and no chance of any mould being present. Wash if necessary, then wipe them with a dry cloth. Cut in half and scoop the seeds and juice out. You can leave the seeds in, but they will take much longer to dry out. I feed the seeds to my hens, but feel free to eat them if the feeling takes you. 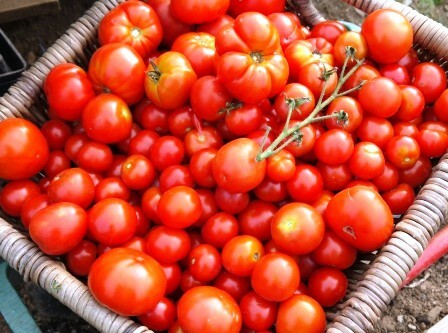 Load them up in the dehydrator (or lay them out on cooling racks on the oven floor), leaving ample room around the tomatoes for the air to circulate. This is definitely a time for the less is more adage. Squash any large ones flat so that the sections of the dehydrator close properly. Switch on for at least 6 hours (mine gets left on overnight to take advantage of the cheaper electricity rate). They will feel pliable & leathery when they are done, rather than crispy. Switch off the machine and leave for a couple of hours for the fruit to cool. Pop them in a sterile, airtight jar, tub or bag. Apparently you’re supposed to use them within 3 months of drying, although I use them all year round with no side effects to taste or health. 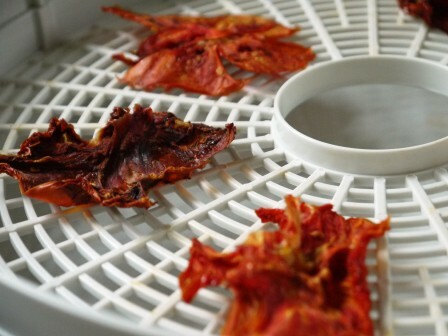 We use the Westfalia Food Dehydrator. It is priced at £36.99 (although it is on special offer at the time of writing) and we are really happy with it, having had it for about 5 years. Edited to add: the above dehydrator is no longer in stock, but you can find plenty of similarly priced dehydrators on Amazon. Dehydrator ordered via the link. Here’s hoping for a glut of fruit in 2015.